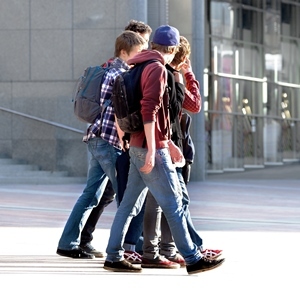 When it comes to youth homelessness prevention is better than cure. We’ve been working hard for 30 years to prevent youth homelessness. We support vulnerable and disadvantaged young people between the ages of 12 and 25 years who are either already homeless or at risk of homelessness. At the heart of our work is our Studio Program. 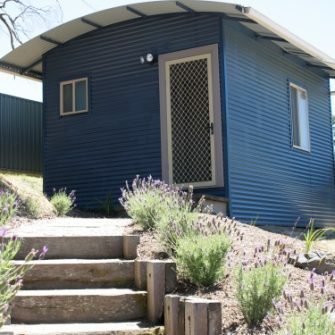 One-or two-bedroom studios – with bathroom, are built in the backyards of a family or carer’s home. 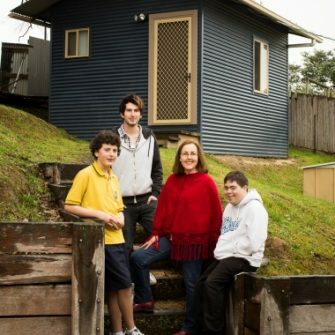 This provides secure and stable accommodation for young people at risk of homelessness. 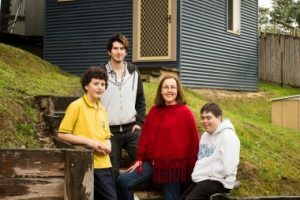 The only not-for-profit organisation in Australia delivering the unique combination of studio accommodation and education scholarships as a practical and proven strategy in preventing youth homelessness. It is Kids Under Cover’s mission to provide young people at risk of homelessness the foundations to strengthen their connection to family, community, and education. Combined with the provision of scholarships to ensure young people remain connected to education or job training our early intervention model is simple, unique & effective. It’s a grave misconception young people become homeless by choice. The reality is vastly different. The issues that lead someone to become homeless are complex and varied. For at‑risk young people, their lives have become emotionally and often, physically unbearable. Their home life may be burdened by the disadvantages of poverty, neglect, abuse, unemployment, substance abuse, health complications, disability and mental illness. This cycle of events cause some young people to feel there is no other option, but to leave. They are not ready, have nowhere to go and may become isolated from mainstream society, and can often experience depression, poor nutrition, substance abuse and mental health problems. Without the right support, many will struggle with homelessness their entire lives. Early intervention interrupts the cycle and maintains a young person’s connection to home and their support networks. For the individual, by acting early to identify and address the issues which lead to homelessness, we can mitigate the detrimental effect of the problem and offer the support required to bring positive change to the lives of young people. For the wider community, this approach reduces the cost to society that invariably results from entering the cycle of homelessness. Costs in mental and physical healthcare, justice system and other specialist homelessness and support services are reduced. Additional flow on economic benefits are reduced dependence on welfare and waitlists for state housing, increased employment prospects, civic participation, and social integration. 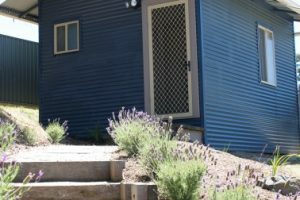 What makes Kids Under Cover unique from other organisations tackling the problem of youth homelessness? 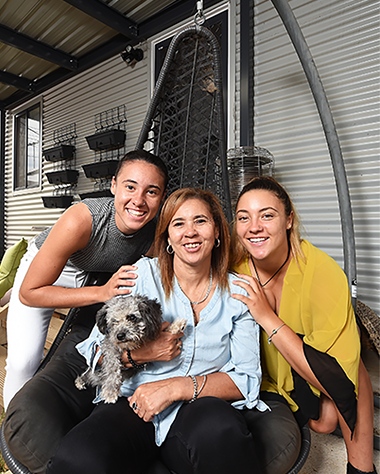 We are the only organisation in Australia offering young people the combination of housing with scholarships for education to keep them engaged with the community. This has proven to be a simple yet effective approach to the long-term prevention of youth homelessness.